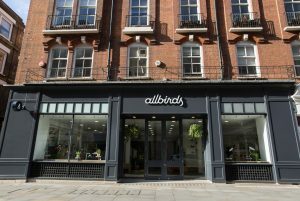 The Mercers’ Company has today announced that luxury and sustainable footwear brand, Allbirds, has officially opened their debut European store at 121-123 Long Acre, Covent Garden. 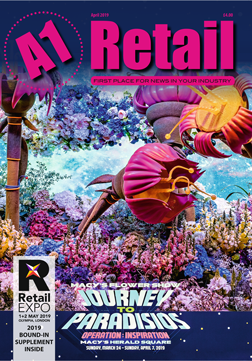 The interior of the 1,600 sq ft store was designed in collaboration with Allbird’s in-house team and design agency XYZ. 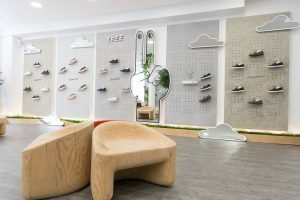 Inspired by London’s parks, the store offers a natural green environment, with use of greenery and natural materials such as moss throughout. 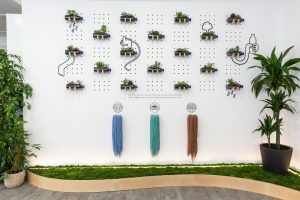 An interactive wall, unique to their London store, displays laces encased in recycled plastic bottles, representing the brand’s eco-friendly products. 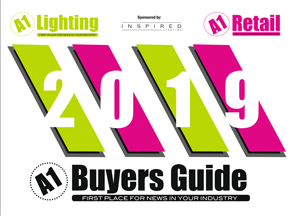 This recent opening follows the announcement that the UK’s leading specialist retailer of maps, Stanfords, will be relocating for the first time since 1901, to 7 Mercer Walk.